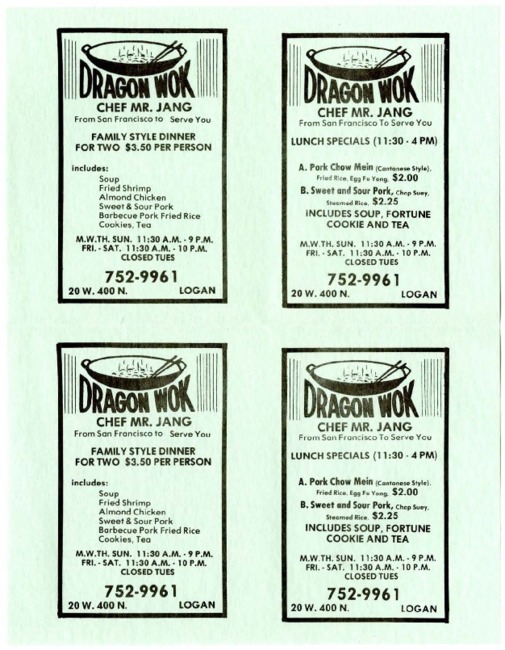 Menu and business cards for the Dragon Wok chinese restaurant, Logan, Utah. 1979. 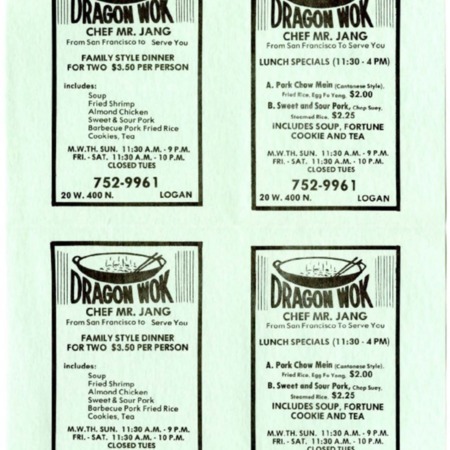 “Dragon Wok menu, 1979,” Highway 89, accessed April 22, 2019, http://highway89.org/items/show/10265.